Bohdi Sanders is an award winning author, self-defense expert, motivational speaker, fame inductee, martial artist and publisher. This ingenious man has written more than 8 books on self-help, philosophy, martial arts and the science of living life to the fullest. His writing is deeply focused on honor, integrating universal wisdom and integrity into one’s personal life. Sanders himself has over 3 decades of experience in martial arts. Although his main focus in martial arts is on Shotokan Karate, he also has a reasonable amount of experience with Krav Maga, Ninjutsu and jujutsu. 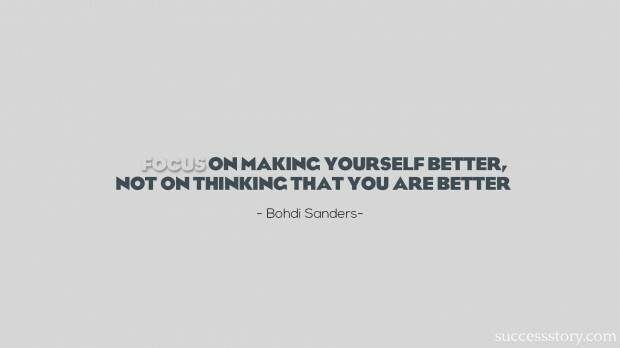 "'Focus on making yourself better, not on thinking that you are better.'"